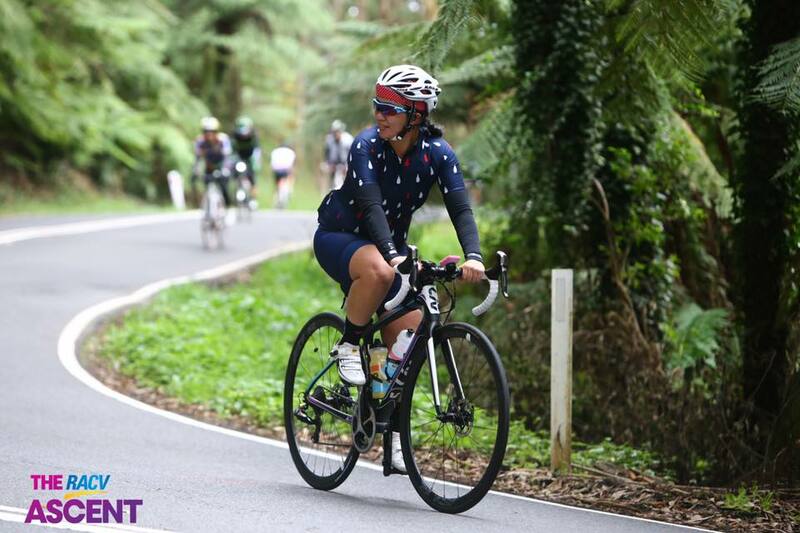 On Sunday 17th April, I participated in the inaugural The RACV Ascent Womens event. 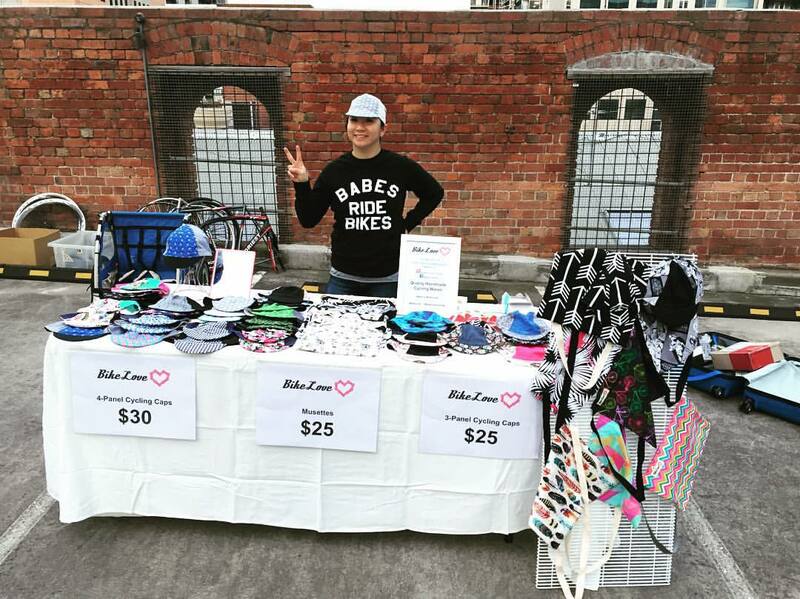 It was organised by Bicycle Network. This event is opened only to women and they had organised some road closure for this event to happen. The closures were mostly partial and only fully closed on some sections where safety of cyclist is concerned. There were still cars along the roads during the event but nothing to worry about or dwell upon. I haven't done any hilly rides for about 2 months! 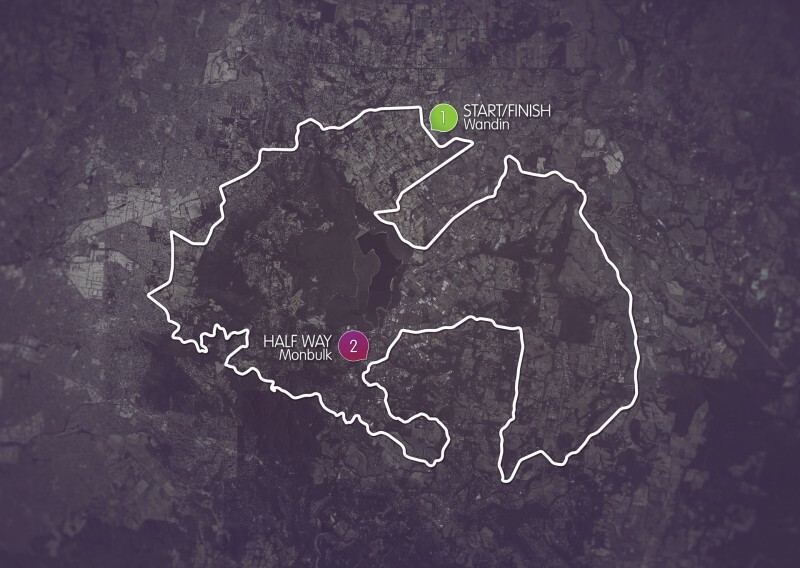 I have only continued with the Wattbike sessions twice a week and flat road rides but nothing which requires efforts....apart from ticking off Mt Baw Baw which I have nearly erased out of my memory. The event had been planned to start off at 6:45am and because the road closures started at 6am, I wanted to be able to find a car park and get ready with plenty of time. The alarm was set at 4am and I left the house at 4:45am. I think I arrived there around 5:50am with plenty of time to get my bike ready and visited the toilet twice. The start of the event was at the Cherry Farm on Queens Rd in Wandin. It was freezing that morning and I started with arm warmers, a gilet and gloves but as the sun came out before the start of the event and the gloves quickly came off. I had placed myself in Wave 2 - between 4 - 5 hours. 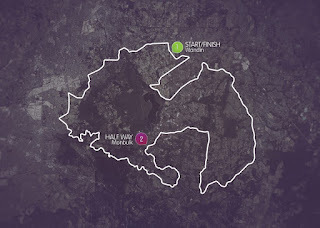 I knew that I wasn't fast enough to finish 100km within 4 hours (with hills) and I don't stop for food so I figured that there was a chance that I would finish under 5 hours. The first few km of the ride was good but I guess without a warm up and we went into a climb pretty soon, my legs weren't cooperating...I felt like I could not pedal efficiently, my cadence was well below 60rpm and my heart rate was through the roof. My confidence for the day started off low but it slowly increased when I found myself being able to ride the descents fast. 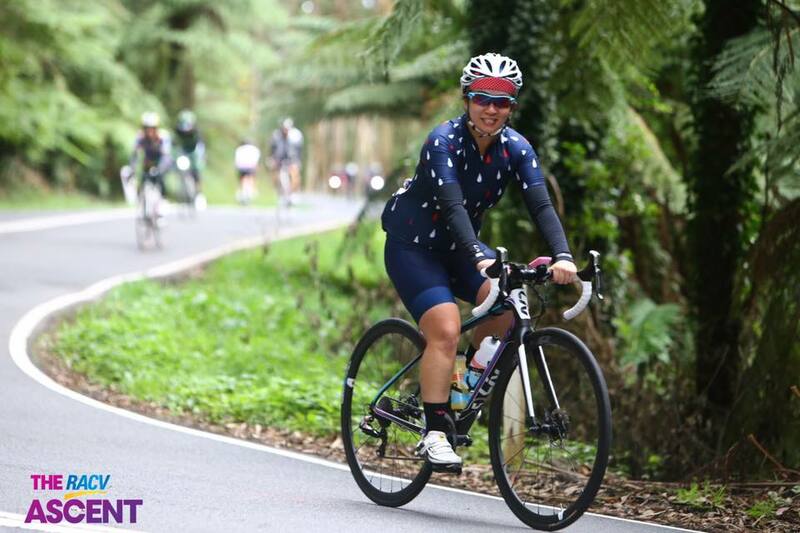 I did a cycling session with Tribal Cycling a few weeks ago and got a few tips for descending and cornering. I used these tips during the ride and it really worked! I actually did most of the ride (unless I am climbing) on the drops. The 1-in-20 climb wasn't my fastest. I should have come to do a few training rides before the event but there has been incidences of tacks on those roads and not being a confident descender, it scared me to do rides there. Luckily I didn't get any punctures but there was about a dozen or so riders who did. At the top of the 1-in-20, there was a rest stop but I didn't need to so I kept going. The ride through Sherbrooke Rd was really nice, a route I had never taken before (I will be sure to return). Along Kallista-Emerald Rd, the scenery was great and there were a few parts where you could really pick up speed. 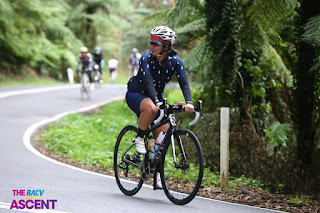 Then we got to Emerald-Monbulk Rd where someone sprayed graffiti on the roads aiming at the riders of the event - quite homophobic, really unoriginal and just lame. Then it was the lunch stop at the Monbulk football grounds. I wasn't hungry for lunch as it was only around 10:30am so I just filled up my water bottle (having gone through a bottle in 2:45), a quick toilet stop, off goes the arm warmers and then on the bike I went. I honestly thought that as my Garmin showed that we had already climbed 1790m and the route info said we would climb 1800m for the 100km route, I thought that was that... but the climbs kept coming...rolling hills that felt like everest. I final steep climb was along Queens Rd and this was where I saw a few people around me walk their bikes up. I applied the same method as before and just looked on the ground and just pushed on. Just before the turn off into the farm, there were a few sharp descents where I just trusted my bike and just let go of all my fears. As I have mentioned before, if I can see where I am heading, I am more confident at not applying the brakes. 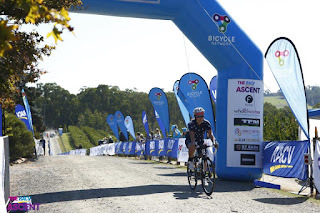 So the last hundred meters onto the finish line was through the gravel road of the farm and this part of the ride reminded me of the gravel sections of the Giro della Donna. I crossed the finish line in 5:30 (riding time of 5:15). I stopped to say hello to a few people and then I went back to the car to head home. I didn't really want to have a bbq as I wasn't hungry. I just bought a fruit smoothie for my drive home and that was that. The graffiti on the roads - was it suppose to deter us from the event? What was the reaction you wanted? I think it showed more about the level of maturity of the person(s) more than anything. They even had the graffiti going the wrong way...so lame! I didn't try anything new - had my hydration every 15min and had my nutrition every 30min. I should have shed the gloves early and stored them in the car rather than carrying them through all 100km. Will I sign up again - yes!! Fingers crossed they will run this event again. It was truly unique. They ended up with 707 female riders which is amazing.